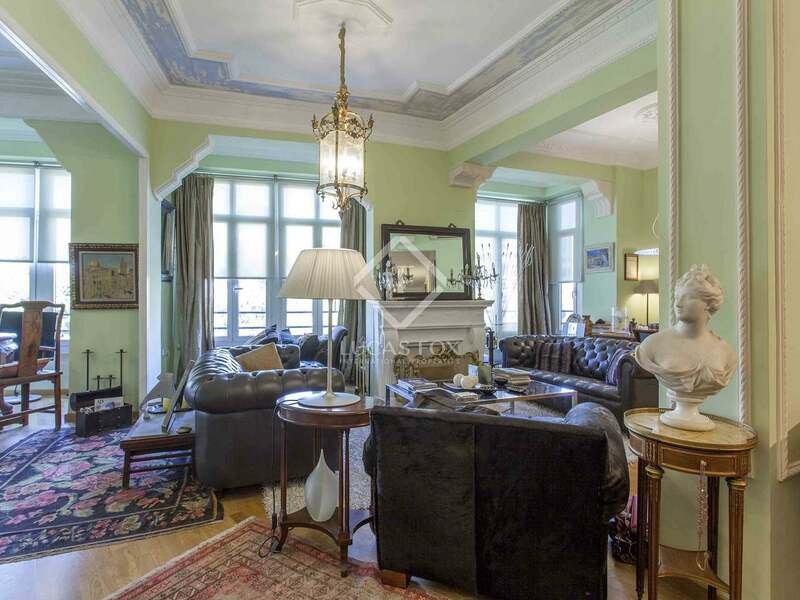 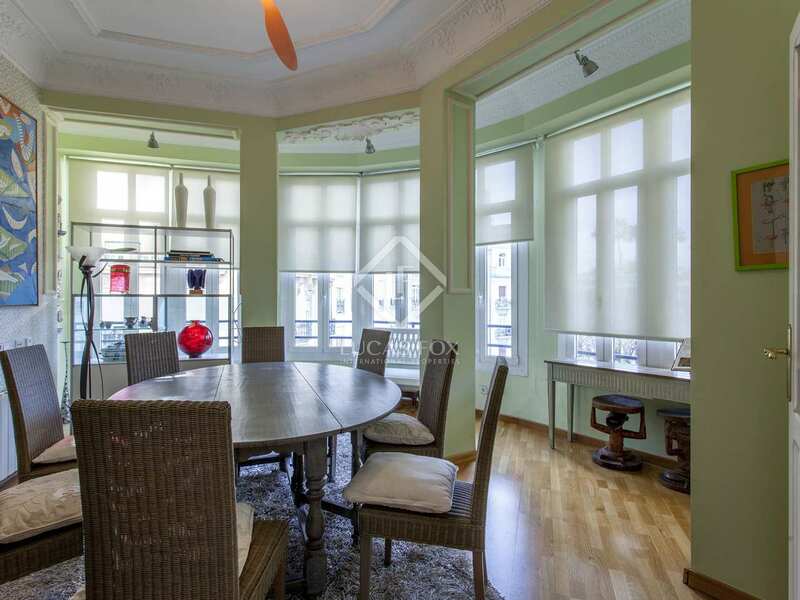 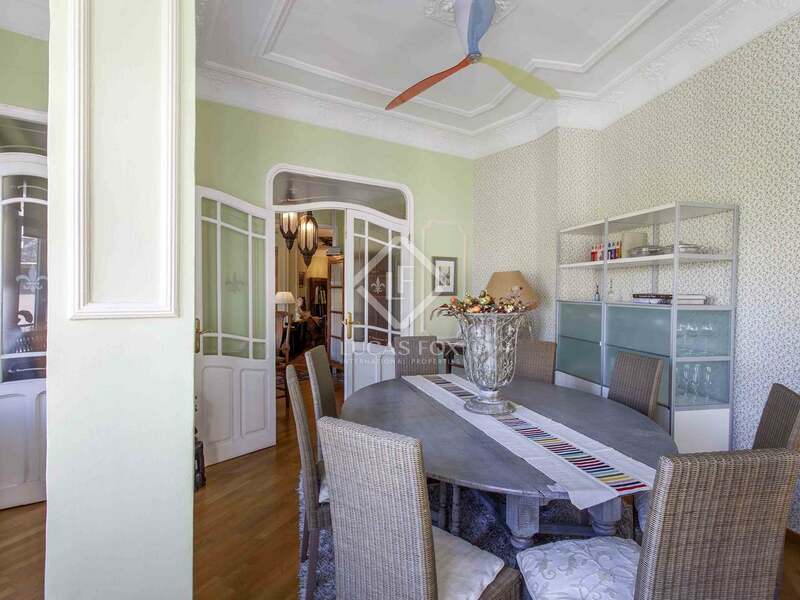 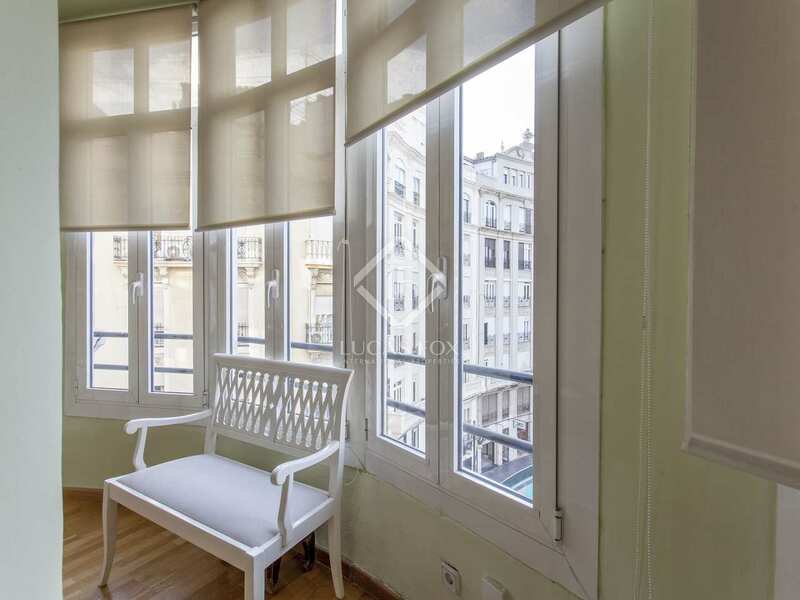 This very spacious and bright apartment is located in the exclusive neighbourhood of Gran Vía, a fantastic location in Valencia. 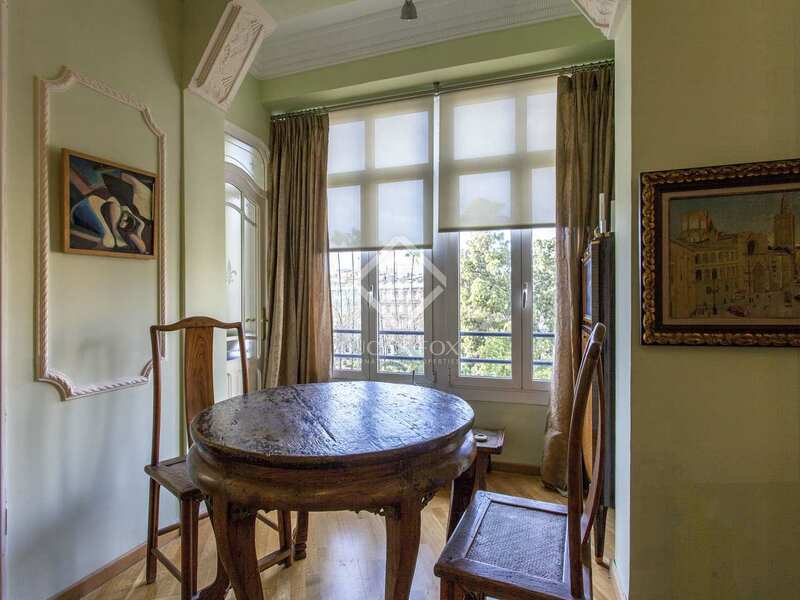 Original architectural elements of the rationalist building have been perfectly preserved. 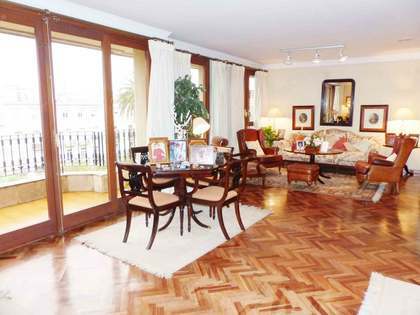 The apartment boasts a functional layout with spacious, exterior facing rooms with wooden floors. 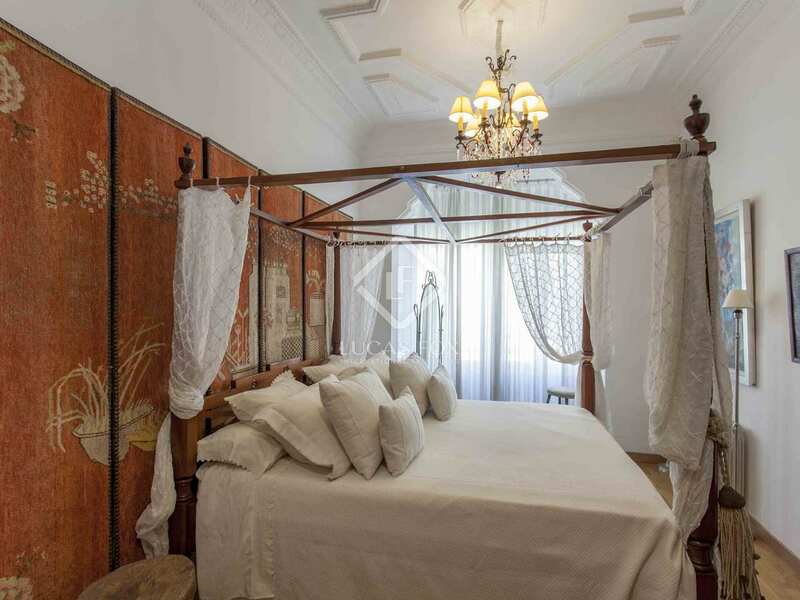 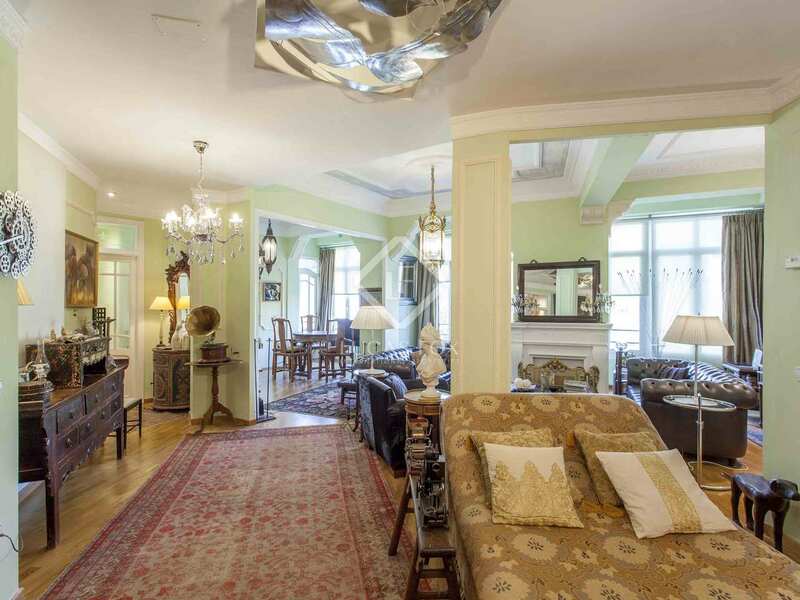 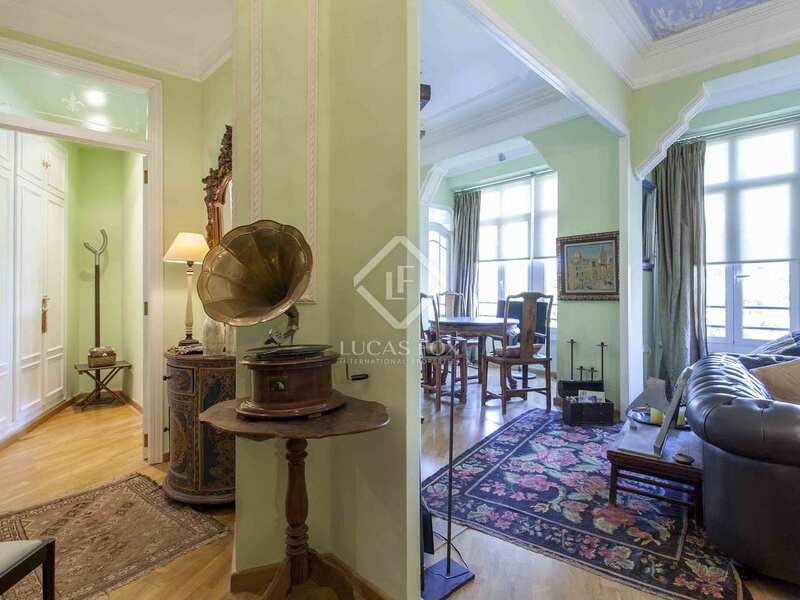 With moulded ceilings measuring over 3 metres and perfectly restored woodwork, the property has plenty of charm. 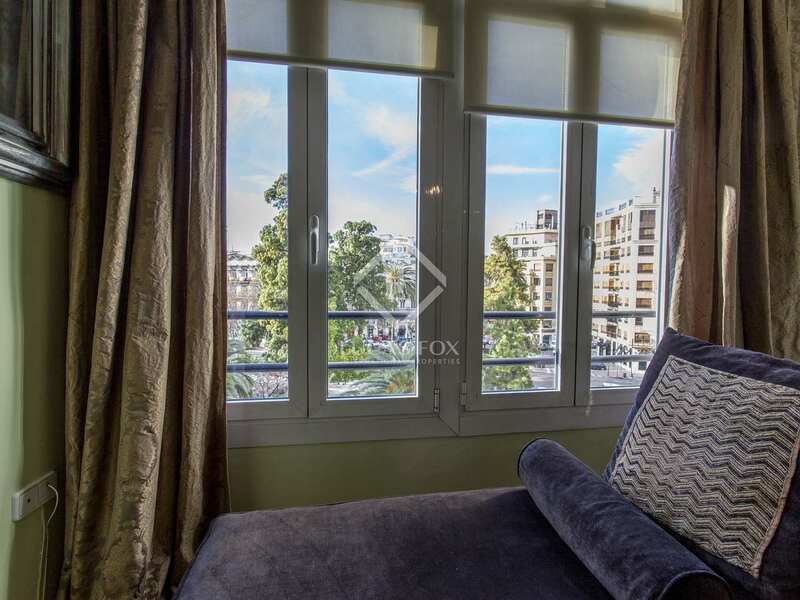 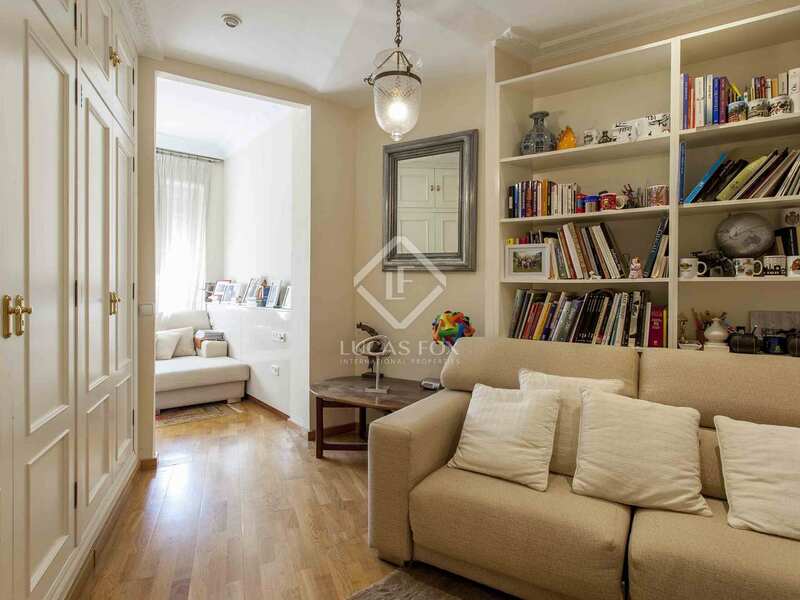 This welcoming and sunny apartment, a substantial part of which is exterior facing, is located on a high floor allowing you to enjoy wonderful clear views. 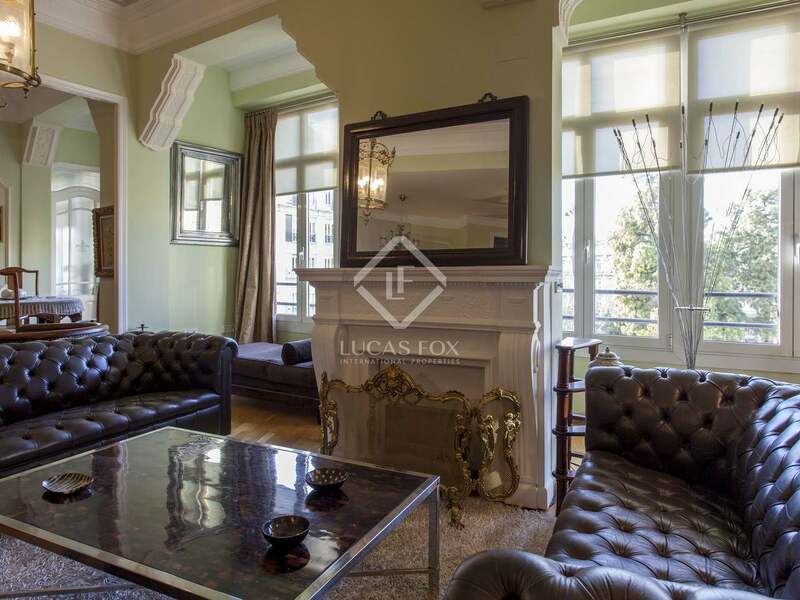 Upon entering the apartment we directly access the living room which measures over 50 m², with various areas and large windows onto the facade, high, decorative ceilings and parquet flooring. 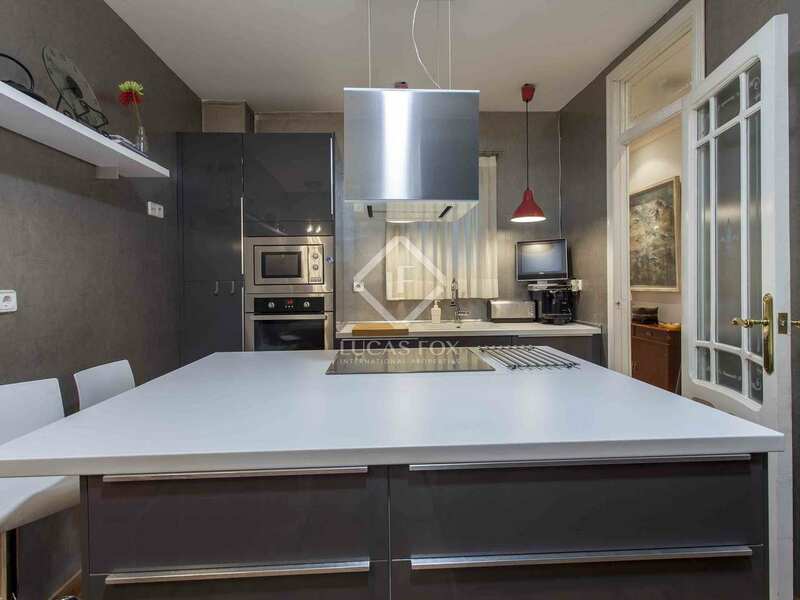 The spacious kitchen is fully equipped, and overlooks the courtyard. 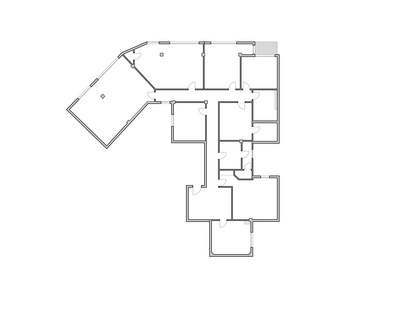 The apartment has a total of 4 bedrooms and 2 bathrooms. 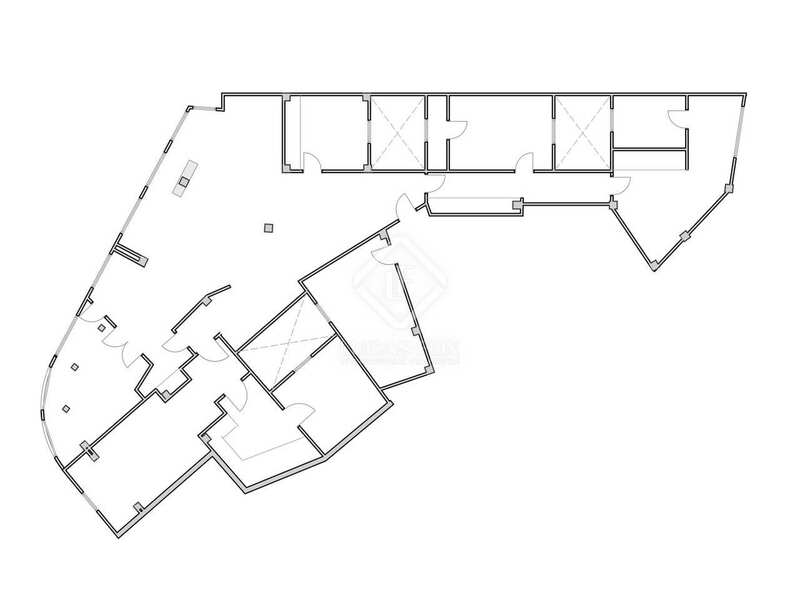 The master bedroom has windows onto the façade and a bathroom, the remaining 3 bedrooms share the second bathroom. 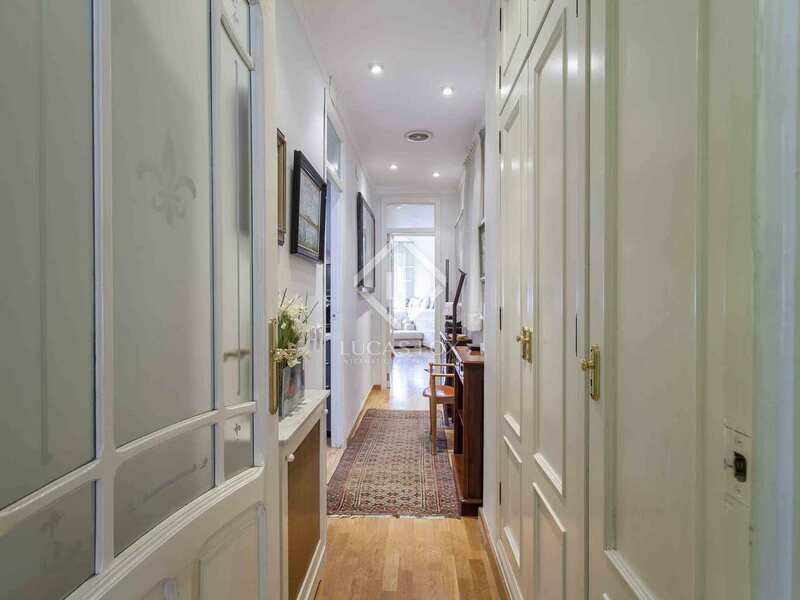 Currently presented a 263m² apartment with 2 independent access doors, this was previously 2 separate apartments measuring 139m² and 124m². 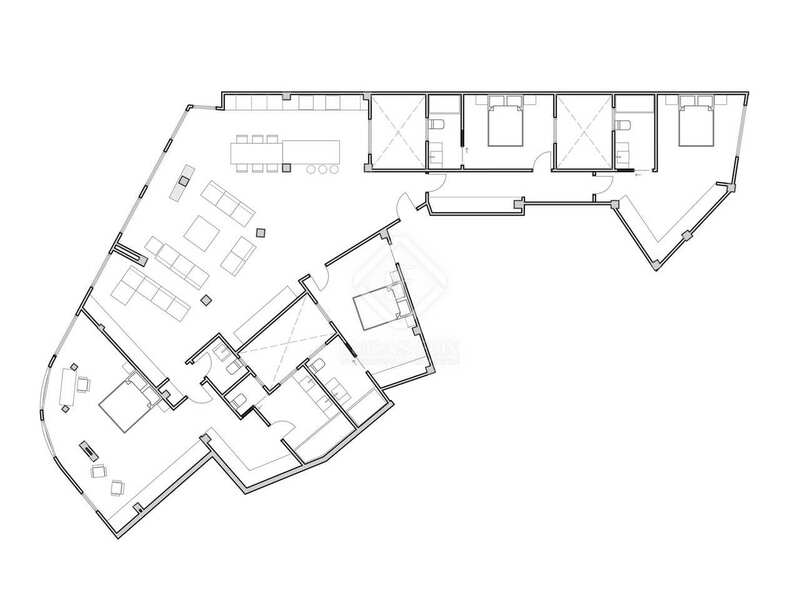 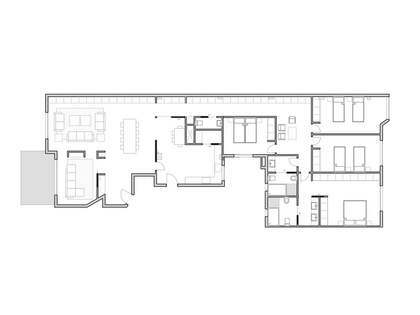 It would be possible to divide into 2 apartments again if desired. 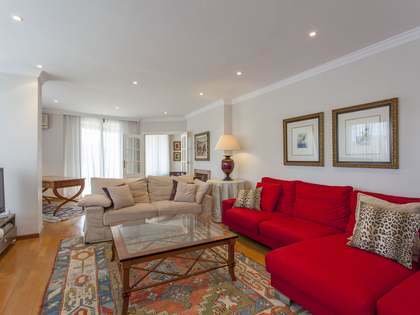 An excellent opportunity for a family seeking a spacious and sunny home close to all services. 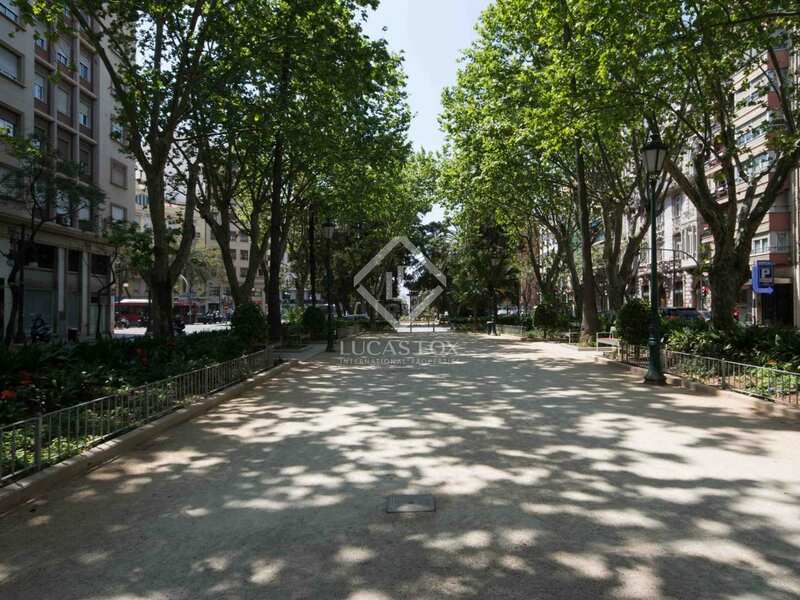 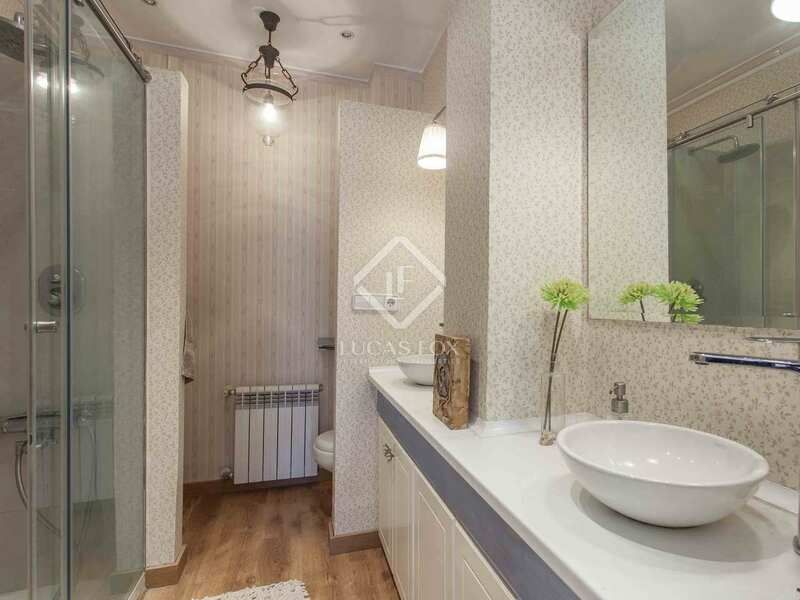 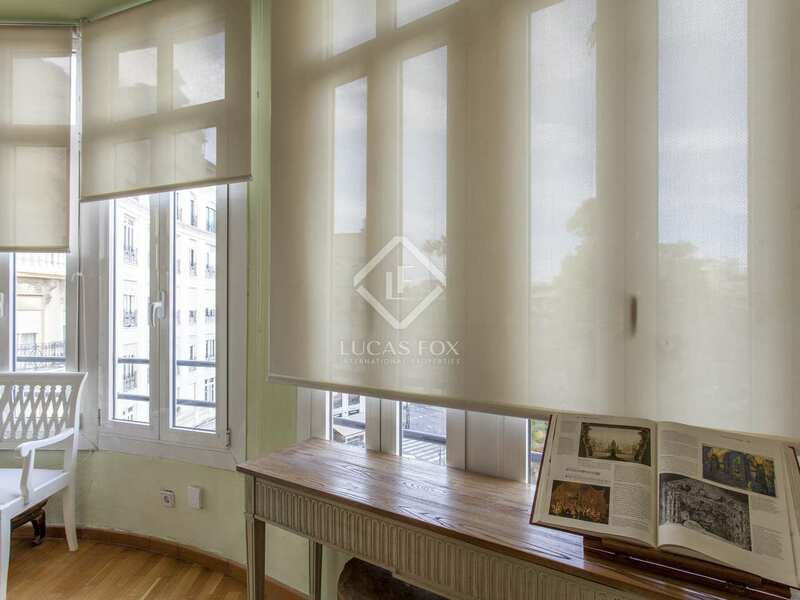 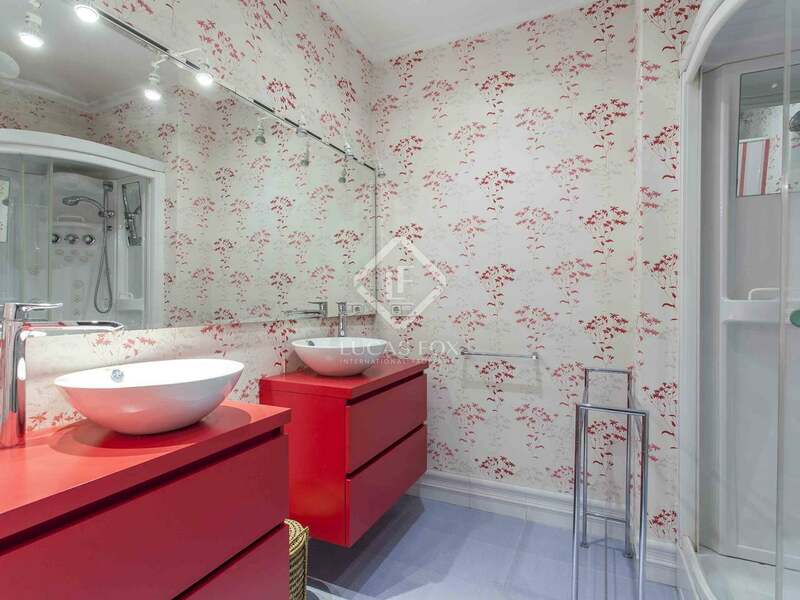 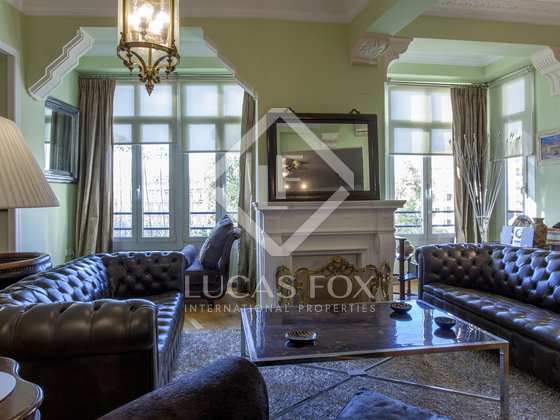 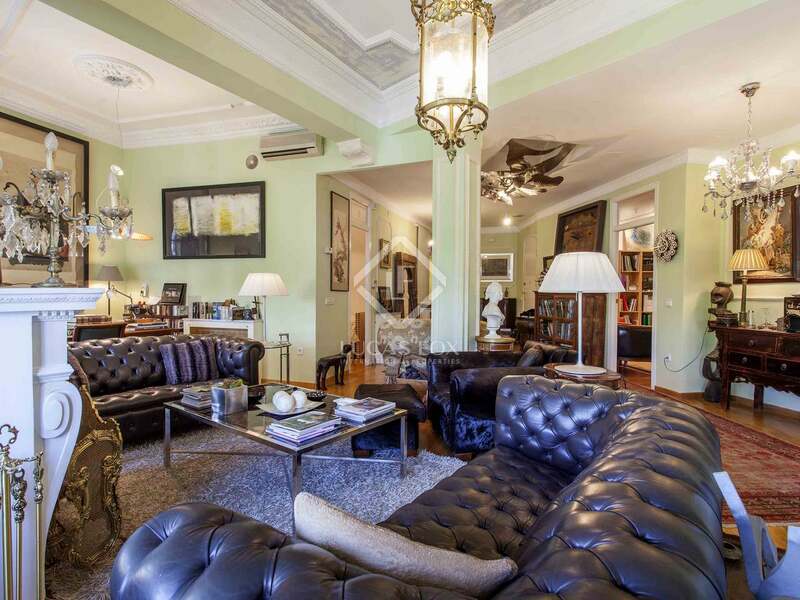 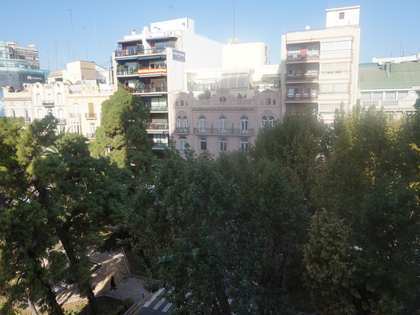 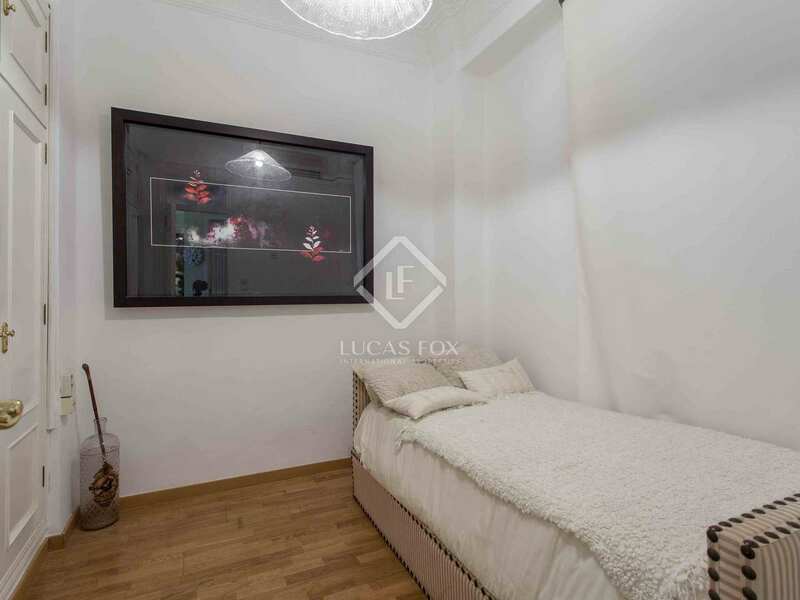 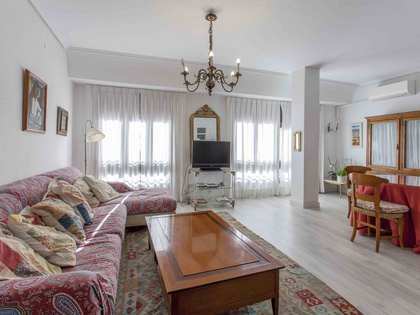 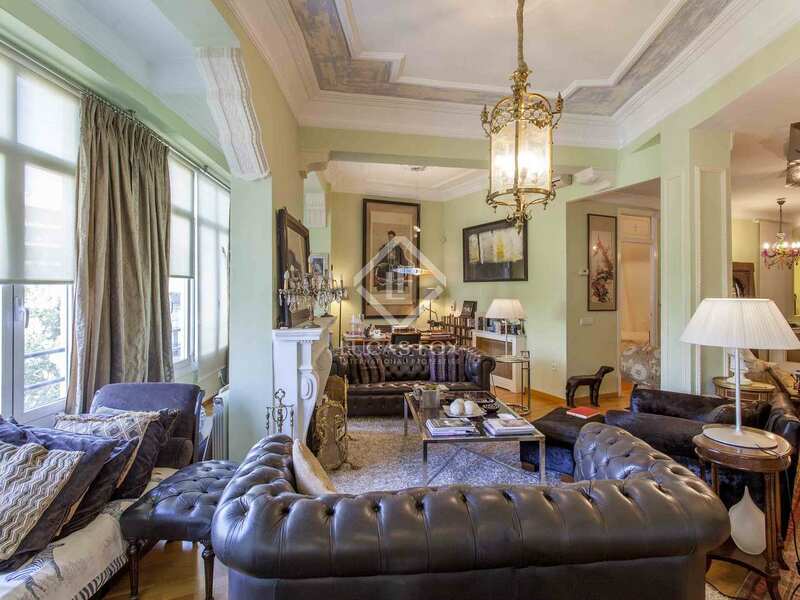 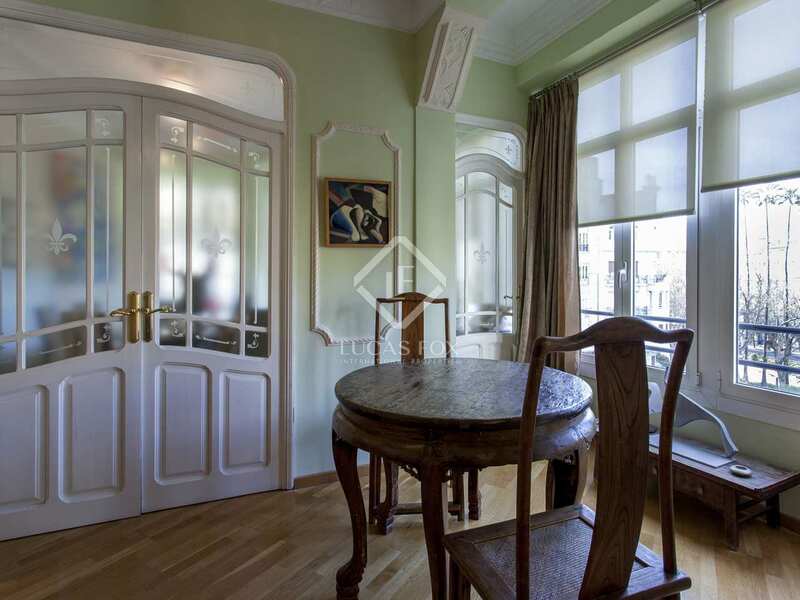 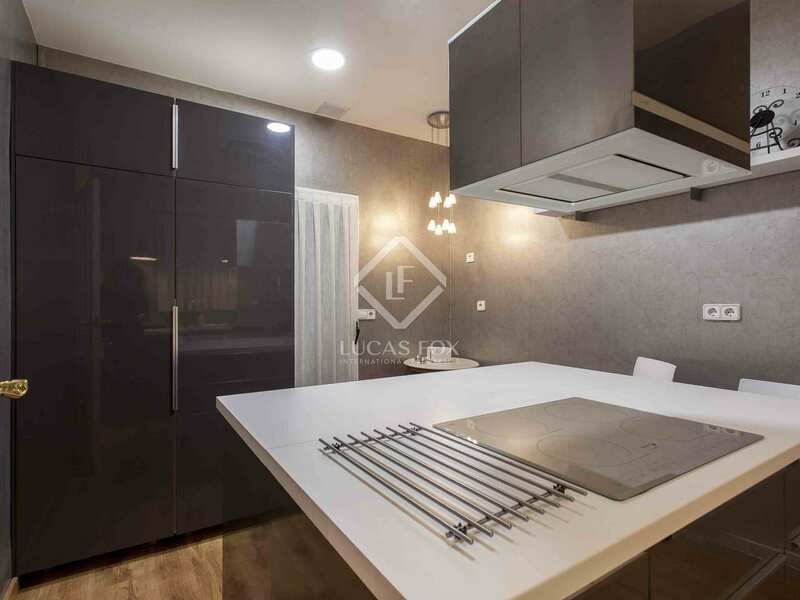 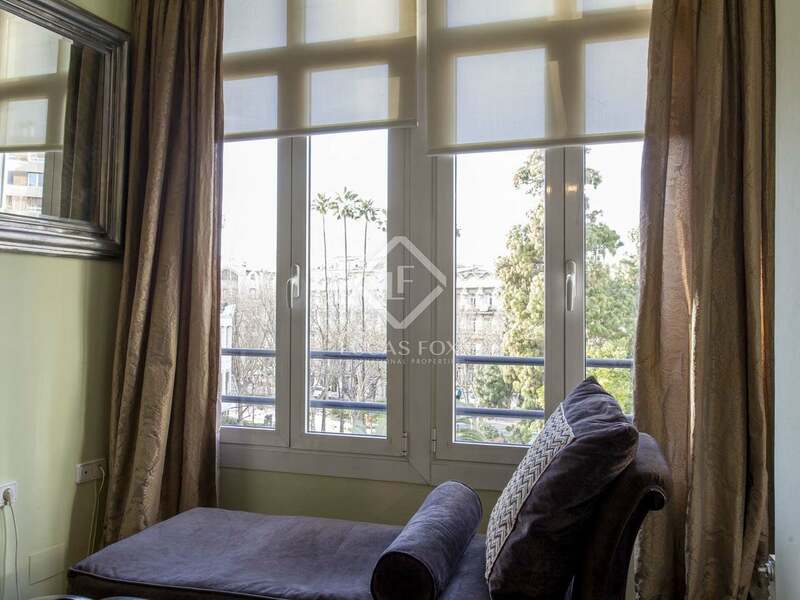 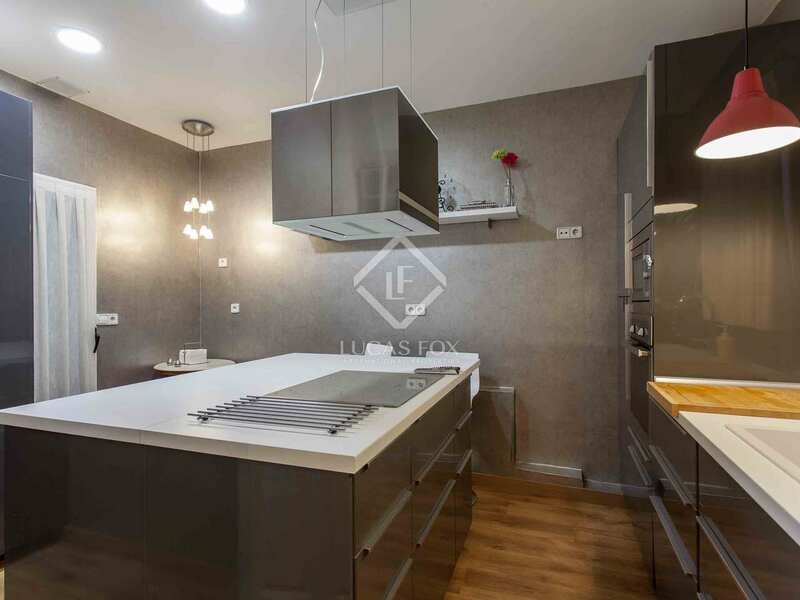 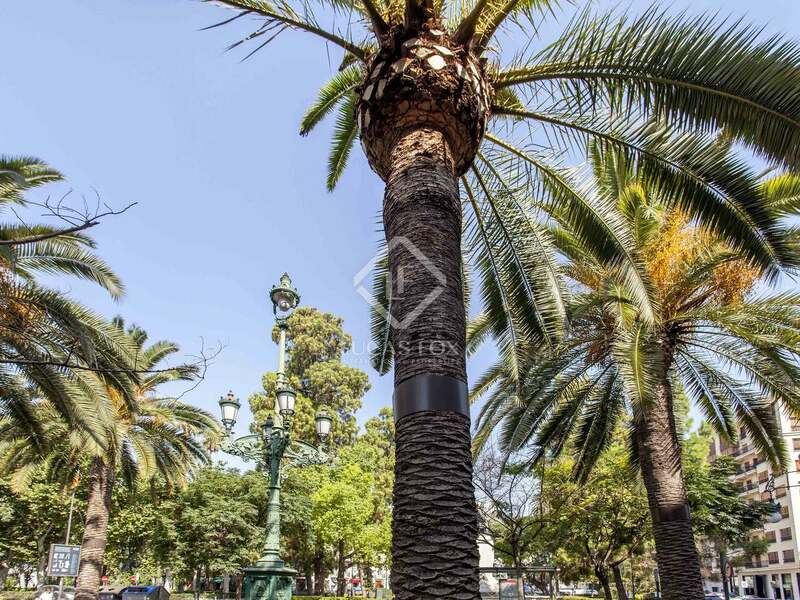 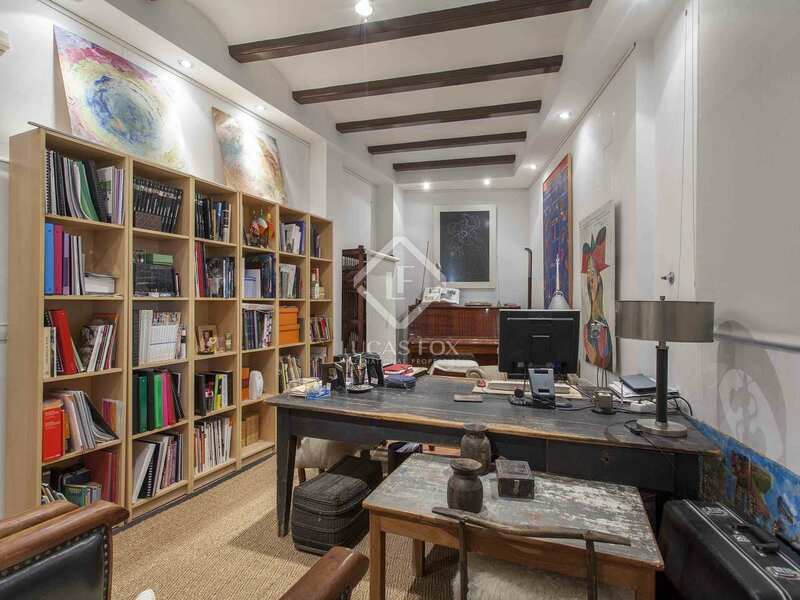 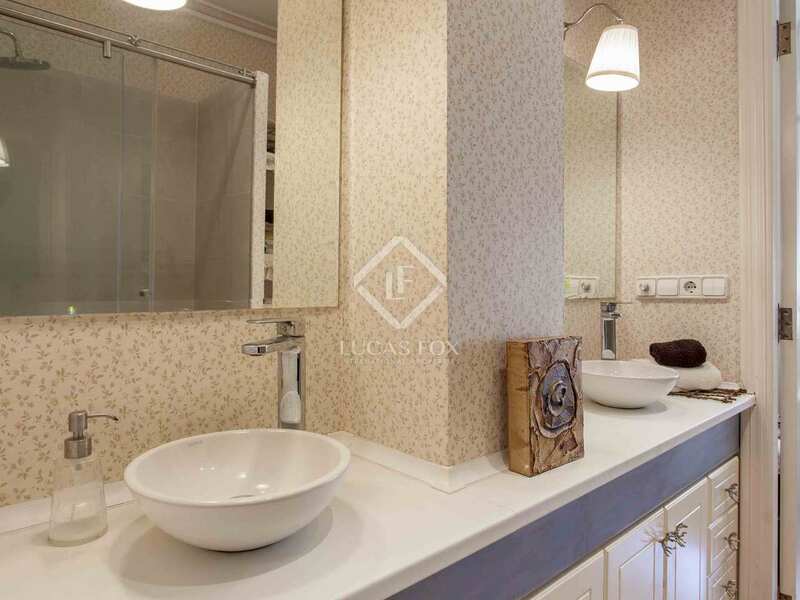 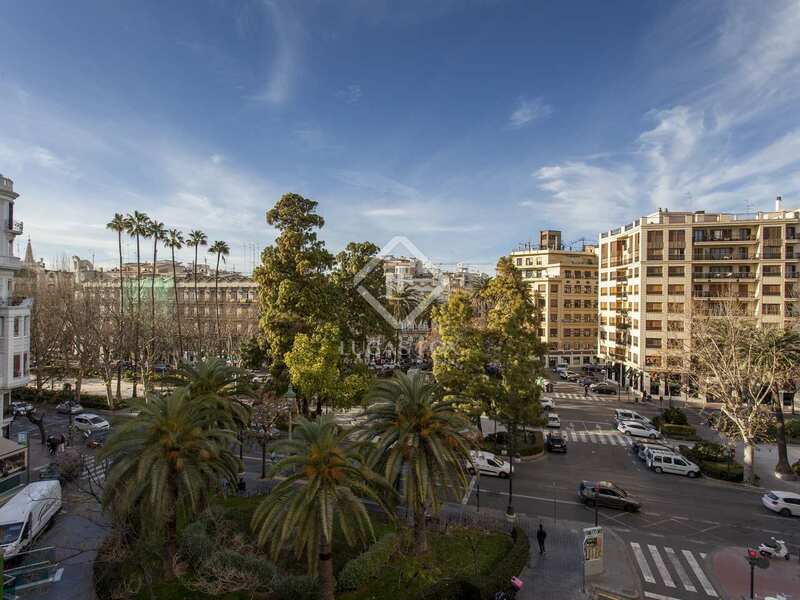 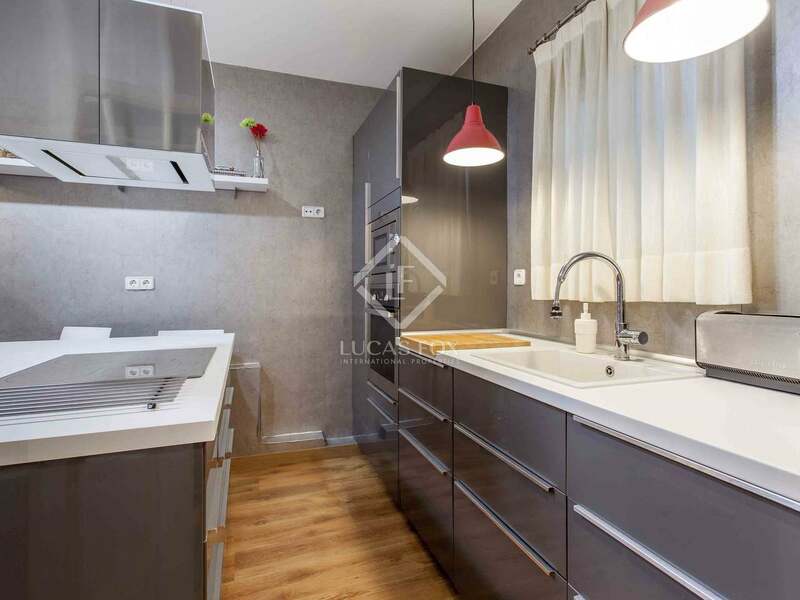 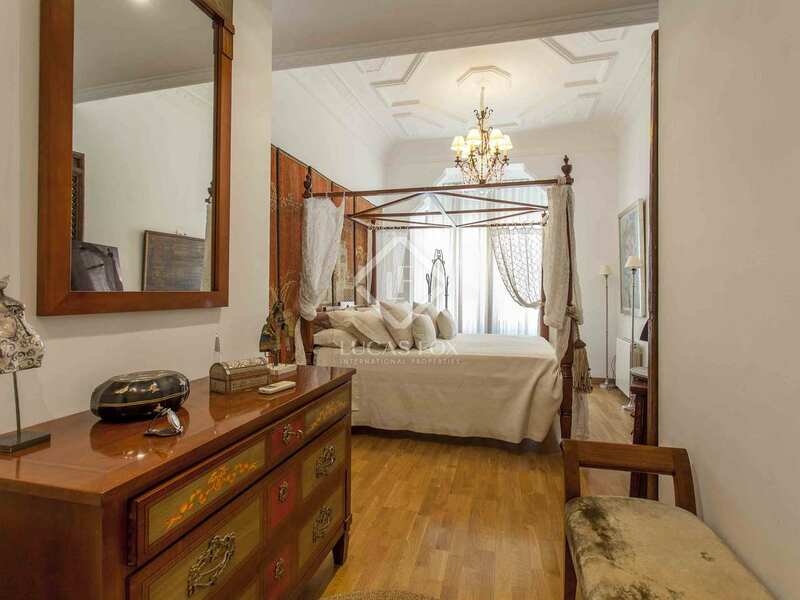 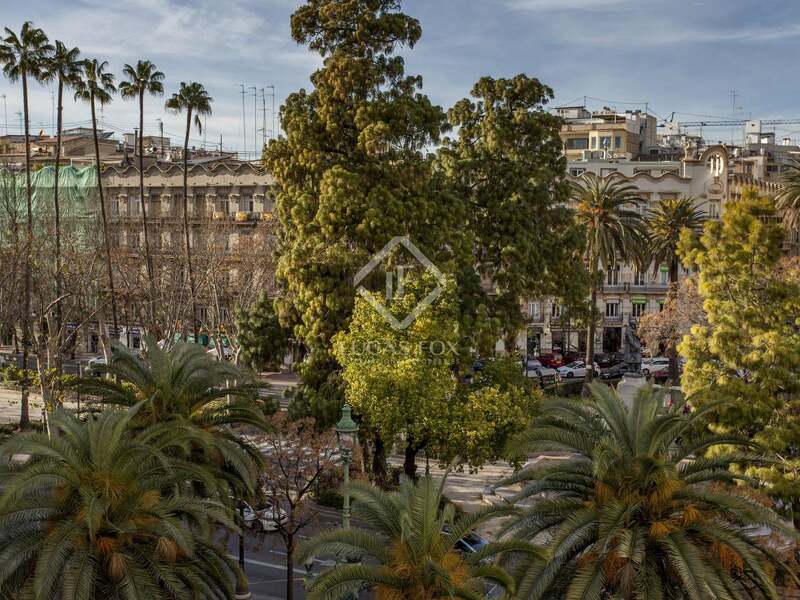 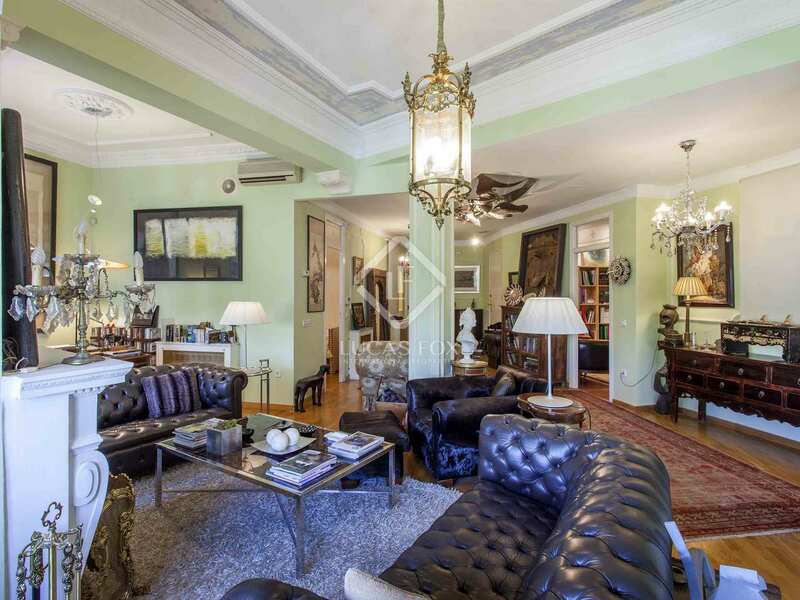 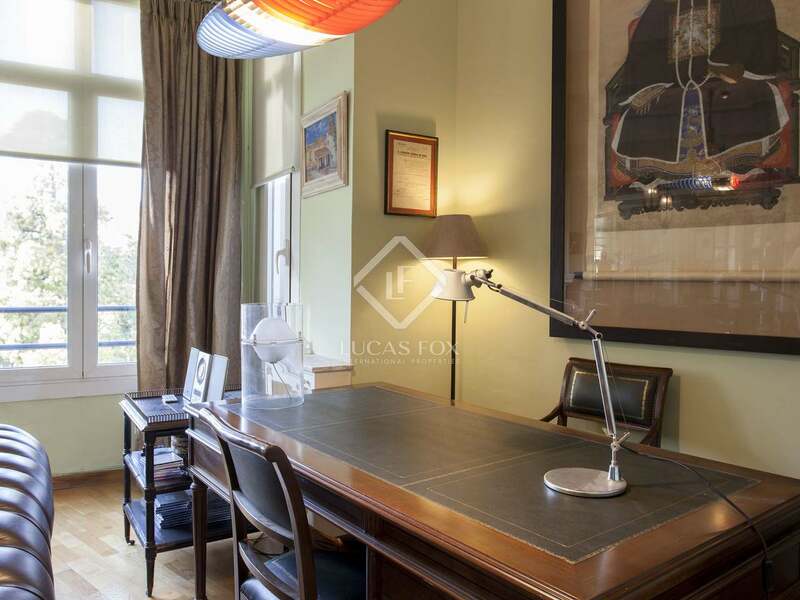 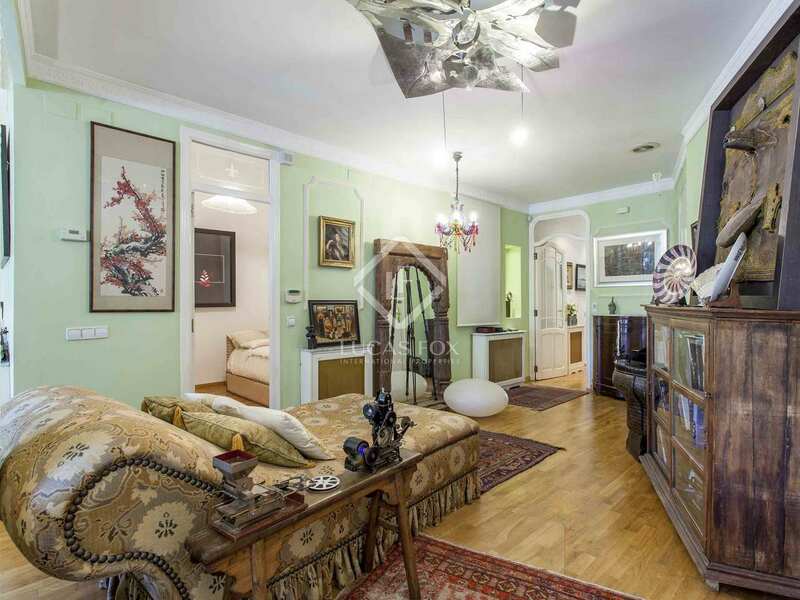 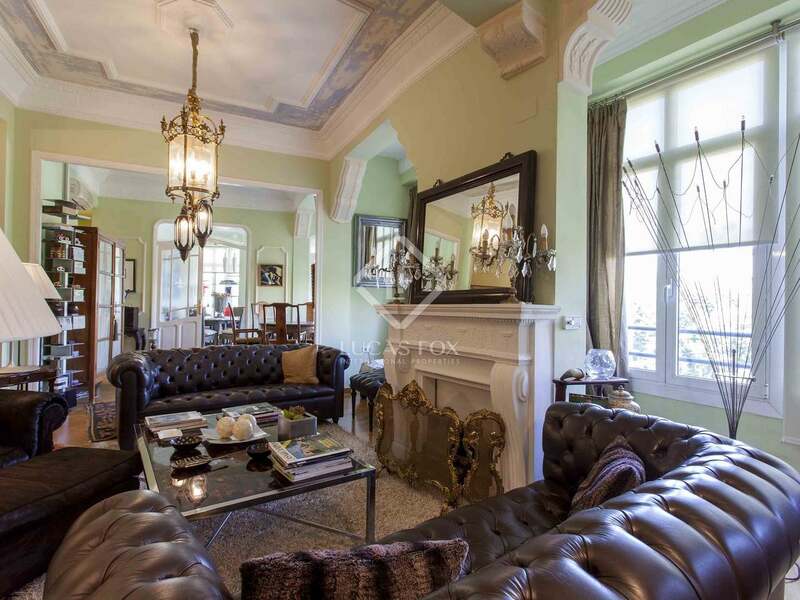 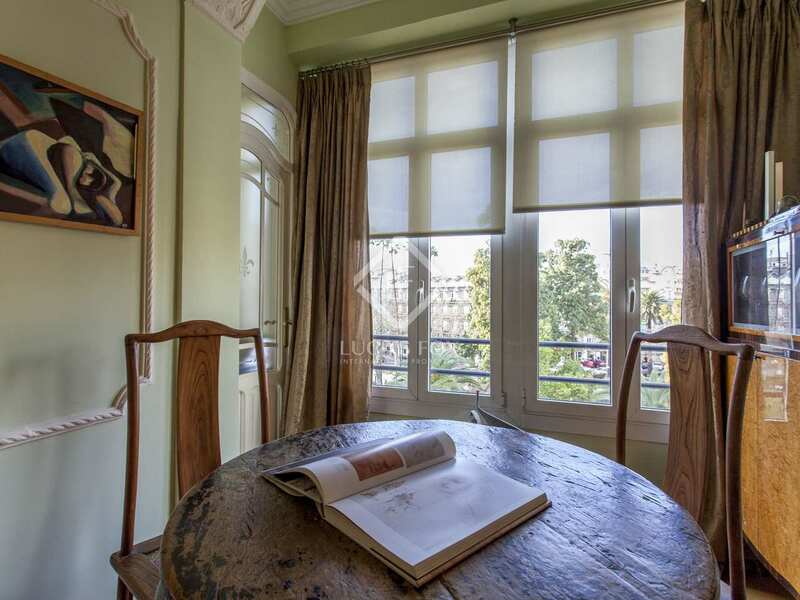 This apartment is located in an exclusive part of the neighbourhood of Gran Vía, very close to the gardens of the River Turia and the Mercado de Colón. 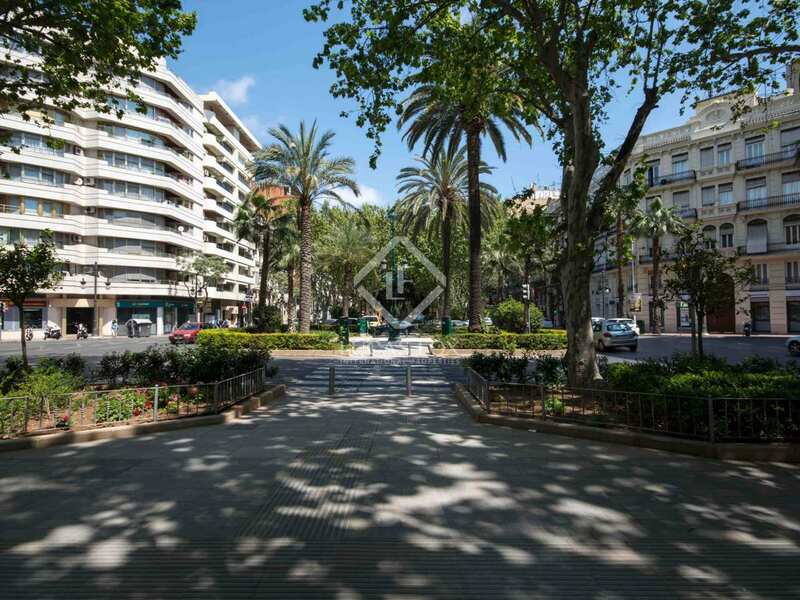 It is surrounded by all kinds of services, shops, public transport, schools, and more.